Happy Friday! 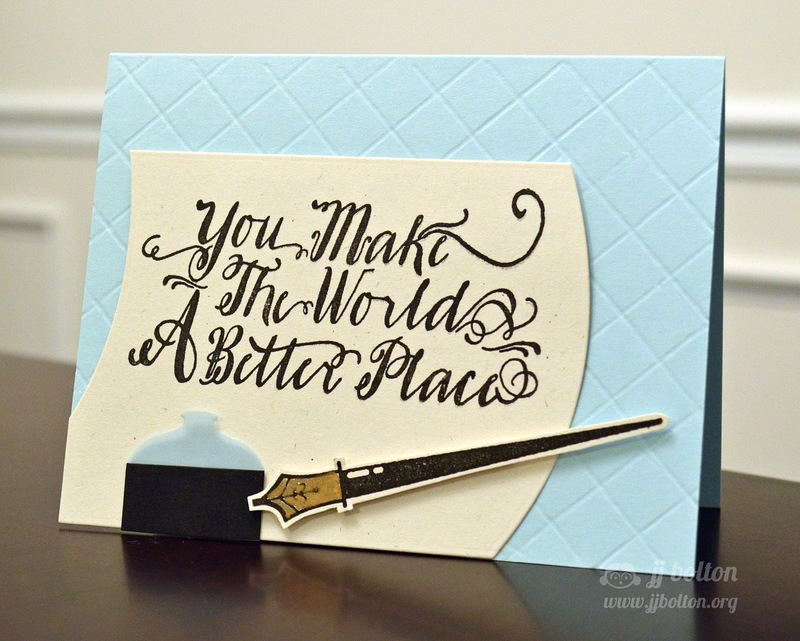 Today I have a quick post with a card I made using the new Avery Elle set, Write It! I've pretty much been a fan of calligraphy since I was 12 and had to work the elementary school calligraphy booth for our 6th grade Medieval Fair. My teacher picked a few kids with good handwriting, and gave us some beat up calligraphy pens and ink and a how-to book. Who knew how much fun it would be! This set brings back those fun memories for me! I started my card by creating a curved sheet of paper with my Custom Panel dies. I used the arc die to create 2 parallel curves. Then I used the large A2 rectangle die to cut it down to the size I wanted for my card. I used one of the bottle dies from Bottle it Up for the inkwell (which I cut in vellum and overlaid with black "ink"). Doesn't that stamp really look hand-written? Until next time! Have a fantastic Friday and wonderful weekend! Love it! Love the little bottle and the embossed pattern on the base. Have a great weekend JJ! OMG, didn't realize you used the Bottle It Up bottle die cut till I read. You are so clever, JJ. Really cute card. Oh my it looks like you did it yourself. So pretty! So hot and trendy (ironic, since this features a 150 year old writing instrument)!! Love how your curved the paper to make it look like it was flopping back in your hand! Studio Calico Confetti Die Giveaway Winner! 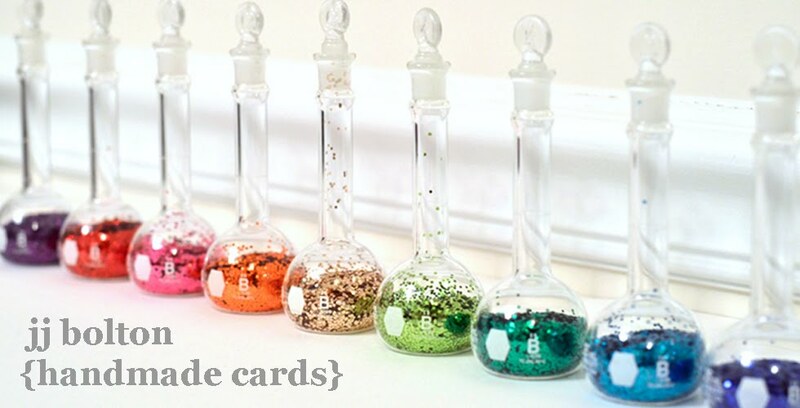 Studio Calico Camelot Sneak Peeks & Giveaway! Avery Elle ~ Giveaway Winners!